In May, Attorney General Jeff Sessions ordered federal prosecutors to pursue the toughest possible charges against suspects of drug- and gang-related crimes—a startling shift from the Obama administration’s stance. These developments are illustrative of a key aspect of criminal justice reform: While the role of police officers is at the forefront of dialogue, the crucial role of prosecutors in law enforcement is frequently ignored. Prosecutors are powerful agents in the criminal justice system. They choose which cases to take, recommend sentences, and outline priorities for law enforcement. Just as police departments need to be more diverse, America’s prosecutors need to be more diverse as well. Unfortunately, there is very little data about the diversity of current U.S. attorneys, but the 2015 diversity statistics for their offices are not good: 8 percent of assistant U.S. attorneys are African American and 5 percent are Latino. Only 38 percent of assistant U.S. attorneys are women. The Department of Justice’s (DOJ) return to war-on-drugs policies brings new urgency to the diversity problem among prosecutors. Because previous war-on-drugs policies disproportionately affected people of color, it can be expected that the return to those policies will have a similarly negative effect on these communities. The disparities in sentencing show a clear need to have people of color at the table making decisions about who to prosecute, how long to sentence, and what priorities to set for law enforcement. Nationwide, black defendants typically receive longer and harsher sentences than their white counterparts. Because prosecutors recommend sentencing timeframes, this is an issue that prosecutors and judges need to address. Florida has been embroiled in a crisis of sentencing disparities for decades, with judges giving black defendants substantially more time behind bars than their white counterparts with the same criminal histories. Black Americans are arrested for drug crimes at twice the rate of white Americans. Attorney General Sessions ordered prosecutors to outline tougher sentences for all drug- and gang-related criminal suspects, but given the racial disparities in sentencing, people of color will be disproportionately affected. Senators can do something about the diversity issue plaguing the criminal justice system on the federal level: They can demand diverse U.S. attorneys. In March 2017, President Donald Trump fired 46 U.S. attorneys, so senators now must vet and approve nominees for those open posts. In total, there are 93 open U.S. attorney positions that senators can weigh in on. On Monday of last week, President Trump announced eight candidate nominations for U.S. attorney positions. Three-quarters of these nominees are white men—despite that only approximately 30 percent of Americans are white men. Two of the nominees are people of color, and only one of the nominees is a woman. The White House stated that the eight nominees that the president put forth this week “share the president’s vision for ‘Making America Safe Again.’” If by sharing the president’s vision, they agree that racist war-on-drugs policies work, it is imperative that senators reject their nominations. Senators have an important role in the process of selecting U.S. attorneys. Whenever there is a vacant U.S. attorney position, senators from that state select potential nominees for the open seat. The president traditionally reviews the list and chooses a nominee, typically from that same list. After a nominee is chosen by the president, senators from the home state of that nominee must sign off on their blue slips, signaling their approval of the president’s nominee. 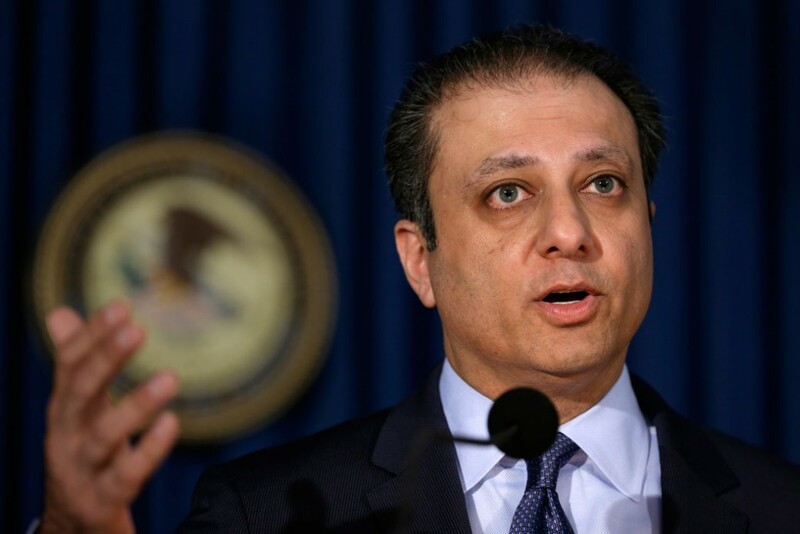 To resist the Trump administration’s return to outdated policies, it is imperative that the 93 U.S. attorney positions be filled with diverse prosecutors—those who have nuanced views of the criminal justice system and can understand the plight of people of color, who are disproportionately targeted by tough-on-crime policies. People of color need their voices heard in the criminal justice system, and senators can do a lot to make sure this happens. The lack of racial and gender diversity among prosecutors has long-term effects that negatively impact the criminal justice system as well as the judiciary because being a prosecutor is often seen as a pathway to the bench. In a country with an incredibly diverse population, there should not be such a proportional difference between the demographics of the public and the officials who represent them. In a system where the rule of law is now questioned by the president who has sworn to defend it, and where the DOJ chooses to return to racist policies that do not work, federal prosecutors can defend the rule of law. Sens. Cory Booker (D-NJ), Kirsten Gillibrand (D-NY), Rand Paul (R-KY), Al Franken (D-MN), Lisa Murkowski (R-AK), and Mike Lee (R-UT) do not agree with the recent return to outdated drug policies, and this bipartisan group of senators just introduced a bill that would allow state medical marijuana laws to supersede federal laws on medical marijuana use—a clear rebuff to the attorney general and the Trump administration’s stance. They can go a step further and mitigate some of the damages that this administration can cause and refuse to confirm prosecutors that do not believe in equal protection under the law. If the nation truly stands for equal justice under the law, we cannot afford to keep sidelining the voices of people of color and other marginalized groups in a criminal justice system that has historically disenfranchised them. Raman Kaur is the special assistant of Legal Progress at the Center for American Progress. Billy Corriher, deputy director of Legal Progress at the Center, contributed to this column.